Trump calls report he called White House a dump "fake news"
President Trump tweeted Wednesday night that a golf.com report where he called the White House a "real dump" is "fake news." "I love the White House, one of the most beautiful buildings (homes) I have ever seen," Mr. Trump posted. "But Fake News said I called it a dump -- TOTALLY UNTRUE." 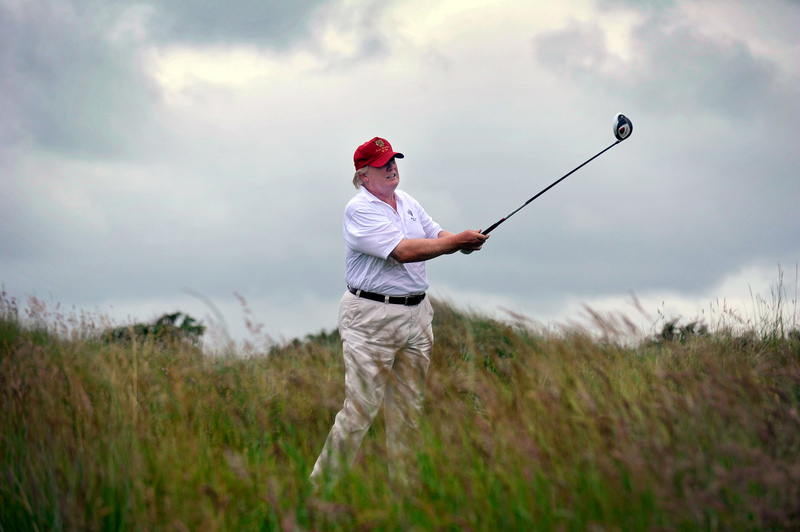 Golf.com, in a long feature about Mr. Trump's golf clubs, reported that Mr. Trump told members of his Bedminster, New Jersey, club that he visits it frequently because the White House is a "real dump." Mr. Trump will likely leave Friday for a 17-day trip, and he is expected to spend the majority of the vacation at his Bedminster golf club.